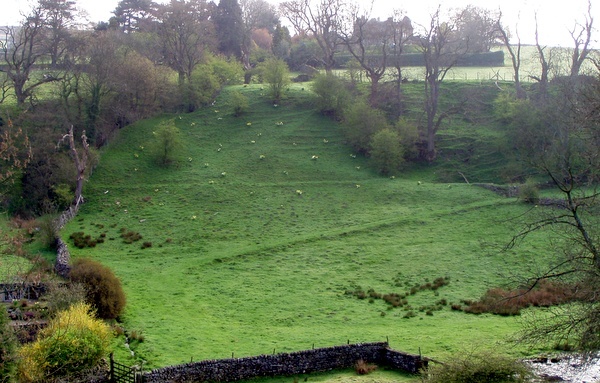 The storage pond for the original water source of the waterwheel was built at the back of Smithy Hill, and was fed by the leat which may be seen contouring the hill half way up, from the nearby beck. Hovering your mouse above the photograph in the appropriate places will allow you to identify the features in question. This photograph was taken in 2004. Click the photograph for a large image.